NEW YORK -- U.S. municipal bonds fell sharply Friday, a day after Detroit filed for the largest municipal bankruptcy in history, adding to investors' woes in the $3.7 trillion market. News of Detroit filing for creditor protections under municipal bankruptcy came late Thursday, setting the stage for a costly court battle with creditors and opening a new chapter in the long struggle to revive the city that was the cradle of the American auto industry. Although expected for months, the news hit an already shaky market. Flows into municipal bond funds have been steadily negative for most of the last five months and recorded the biggest weekly outflows ever in June. On Wednesday, Moody's Investors Service slashed its credit rating for Chicago, the third-largest U.S. city, by three notches to A3, citing concerns about growing pension liabilities, a problem faced by thousands of municipalities across the country. 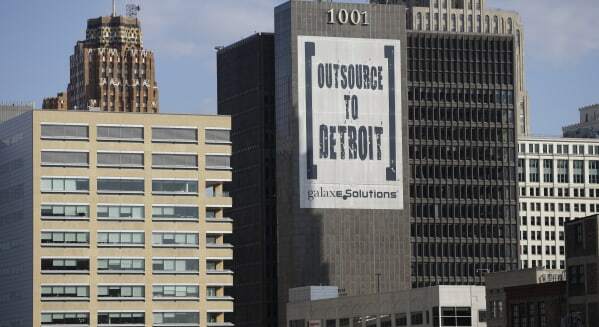 "Detroit is bleeding through into the general market right now," said Domenic Vonella, an analyst at Municipal Market Data, a unit of Thomson Reuters. "This is the icing on the cake." Yields on longer-dated triple-A maturities ranging from 2037 to 2043 rose by 5 to 9 basis points, according to a preliminary read on the MMD triple-A scale. Vonella said that usual summer reinvestment flows into the muni market had been largely absent due to uncertainty on how and when the Federal Reserve would start reining in its bond-buying program that it introduced after the financial crisis. The rise was the steepest since June 24 when the U.S. Federal Reserve rattled markets with plans to scale back its bond buying program, pushing yields on both the 10- and the 30-year maturities up as much as 17 basis points in a single session. Prices move inversely to yields. Detroit's pension bonds maturing it 2025 were trading at 41 cents on the dollar Friday, compared to 65 cents at the start of the year. The pensions bonds defaulted on June 14. The municipal bond market, which provides funds for everything from sewage treatment facilities to airport developments, is a favorite with retail investors seeking to take advantage of its tax free status. The recent action is unusual because the market generally moves at a glacial pace compared to the lightening quick stock market. The move was also at odds with the U.S. Treasury market where municipals usually take their cue. U.S. Treasuries prices rose on Friday as the Federal Reserve bought 10-year notes as part of its ongoing purchase program.